Wormbs, N., Döscher, R., Nilsson, A. E., Sörlin, S., (2017). 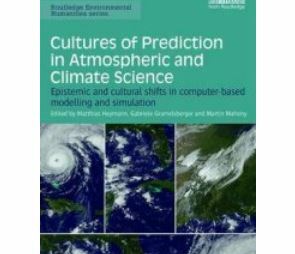 “Bellwether, Exceptionalism, and Other Tropes: Political Coproduction of Arctic Climate Modeling”, in: Cultures of Prediction: Epistemic and Cultural Shifts in Computer-based Atmospheric and Climate Science, eds. Matthias Heymann, Gabriele Gramelsberger & Martin Mahony (New York: Routledge, 2017), pp. 133-155.